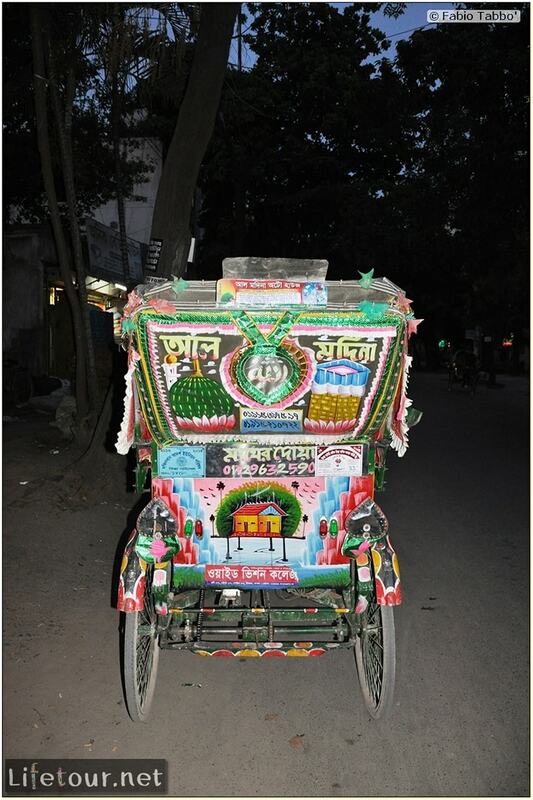 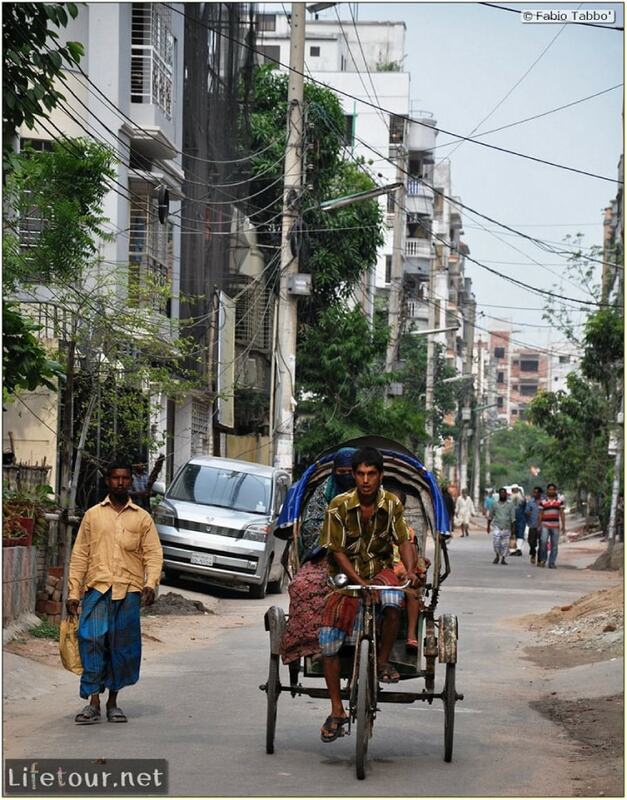 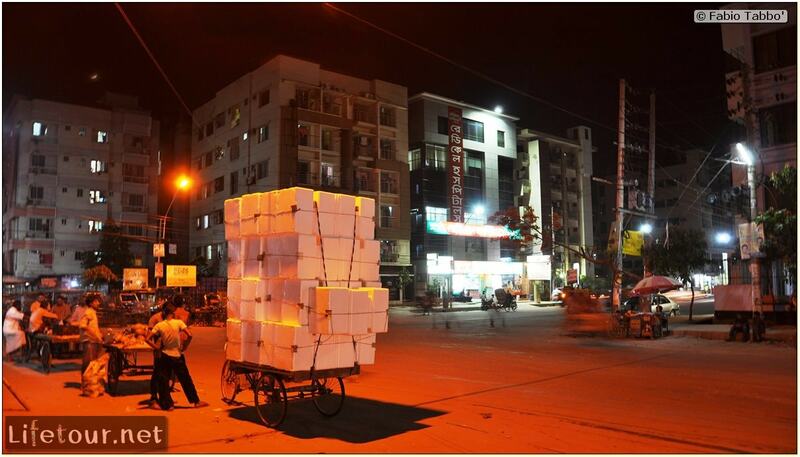 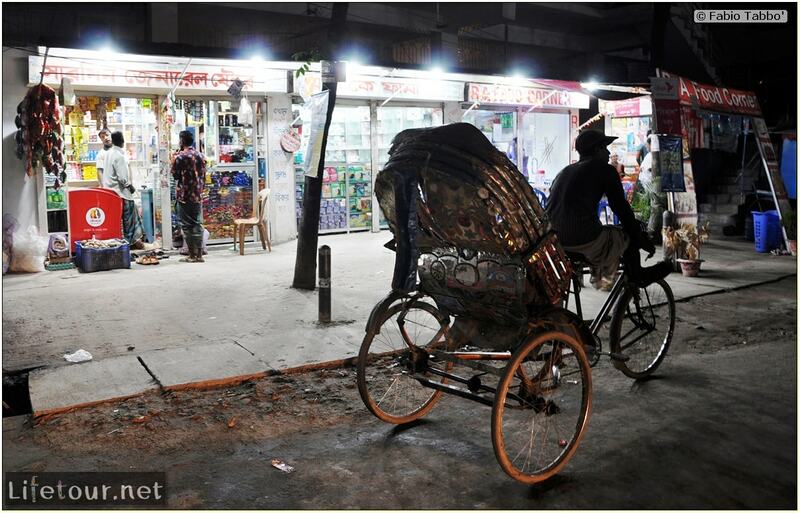 These light two-wheeled hooded vehicles drawn by a "driver" are still the main form of locomotion in many areas of Bangladesh. 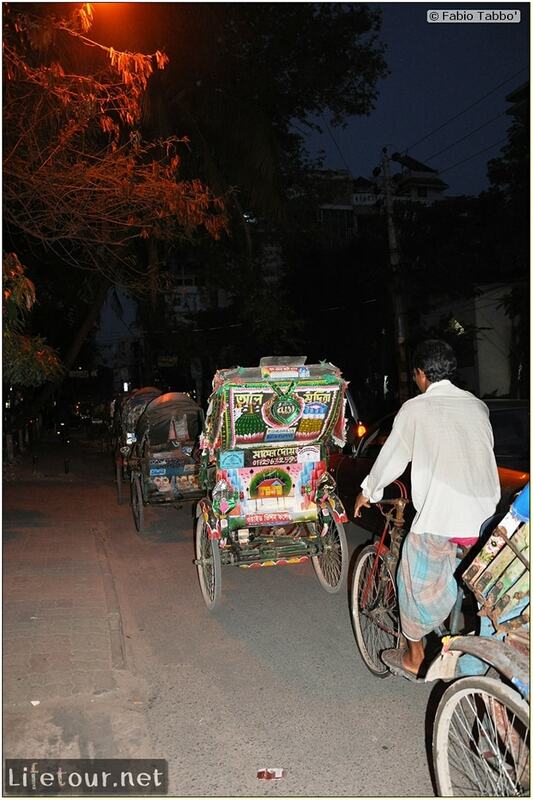 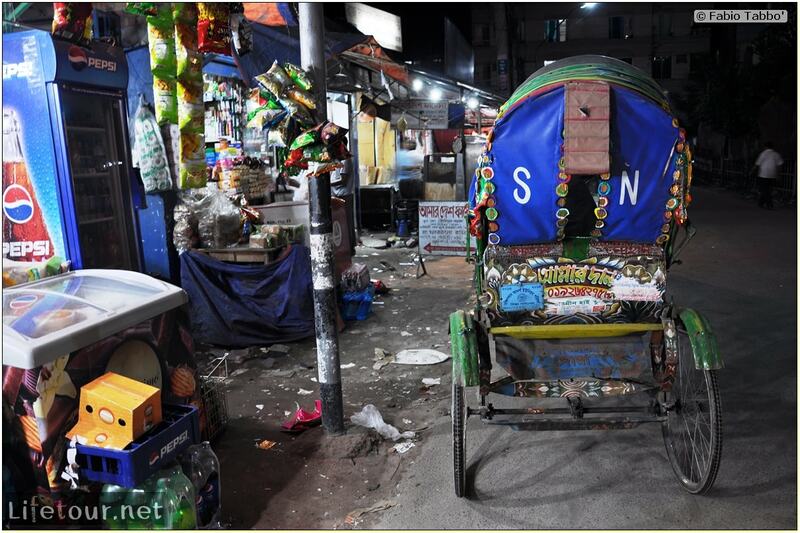 One of the most striking aspects of the traffic in Dhaka is that it is mostly composed of a multitude of multicolored human-powered rickshaws! 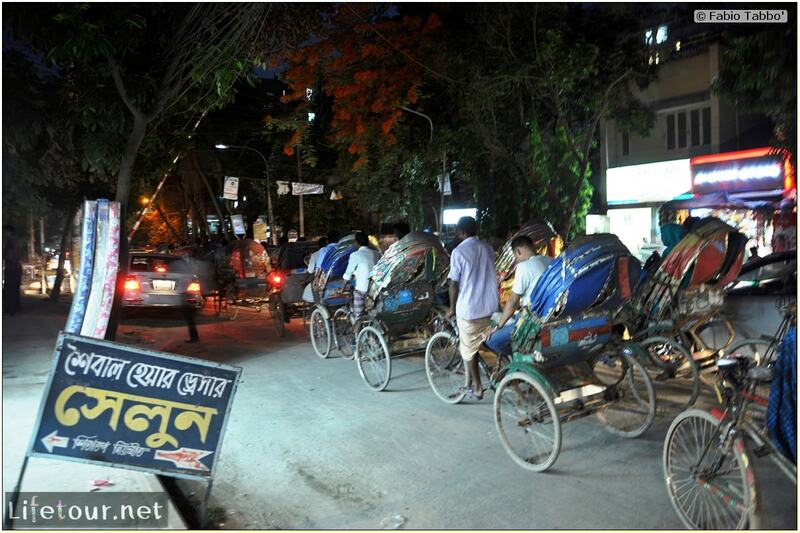 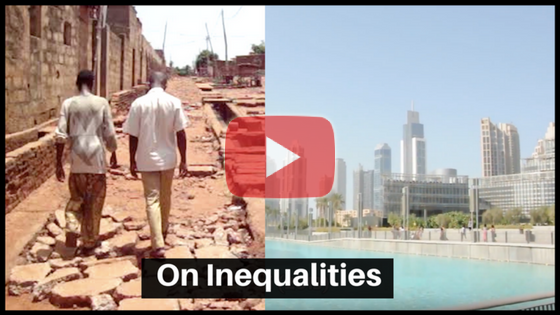 This is a key difference with neighboring countries, where the “tuk-tuk” are motorized. 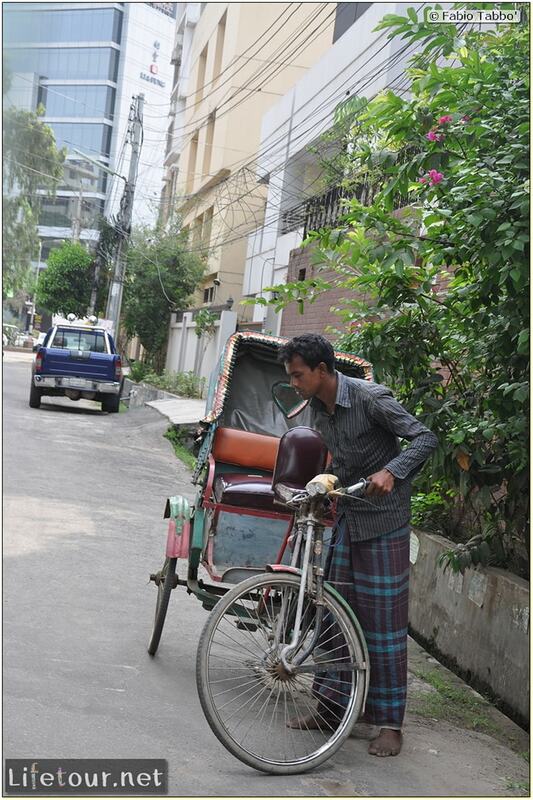 Another difference is that the rickshaws drivers won’t bother you every 5 seconds to check if you need a rickshaw (as it happens with tuk-tuk drivers in, say, Cambodia), probably because they need to preserve their breath for pedaling.